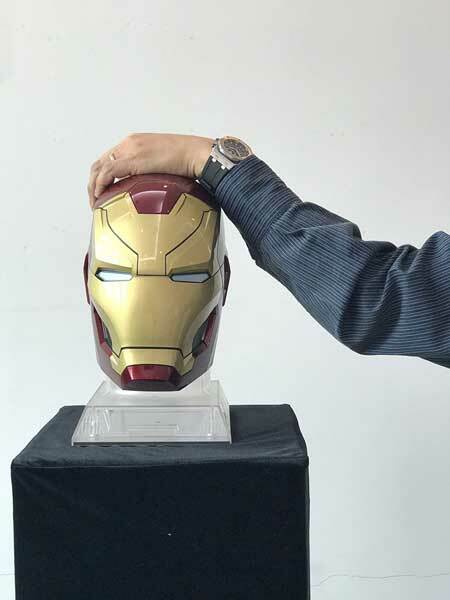 Iron Man MK64 Bluetooth Speaker: delivers rich sound and puts on a show with its LEDs. It also has a USB port to charge your smartphone. 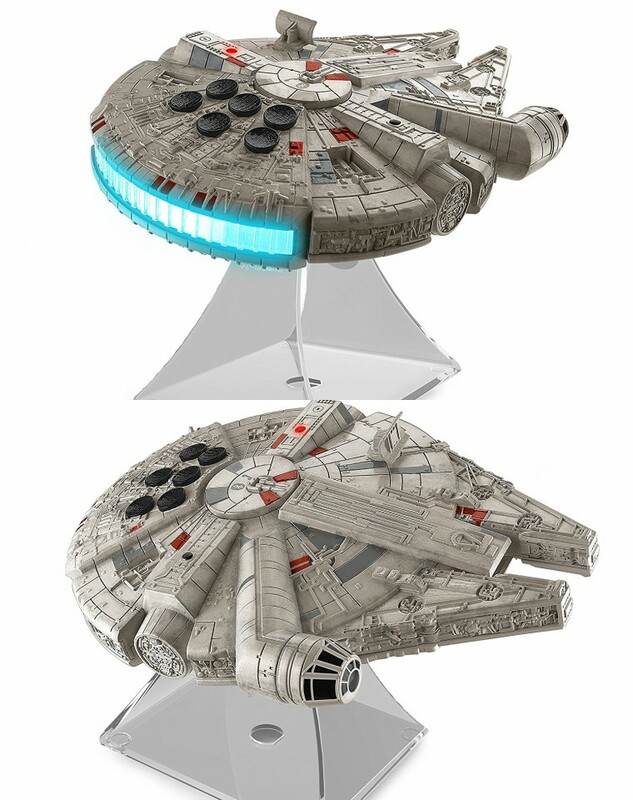 Millennium Falcon Bluetooth Speaker: a highly detailed model of Millennium Falcon with a speaker built-in. It also lets you take and answer calls. 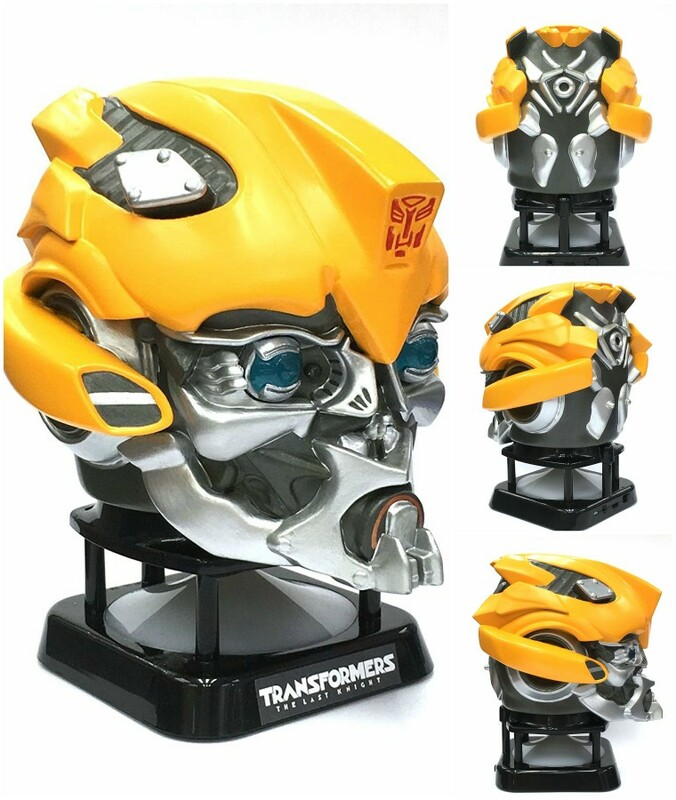 Bumblebee Bluetooth Speaker: another cool gift idea for Transformers fans. 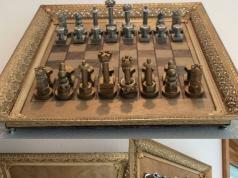 It measures 18.5 x 20 x 23.5 cm. 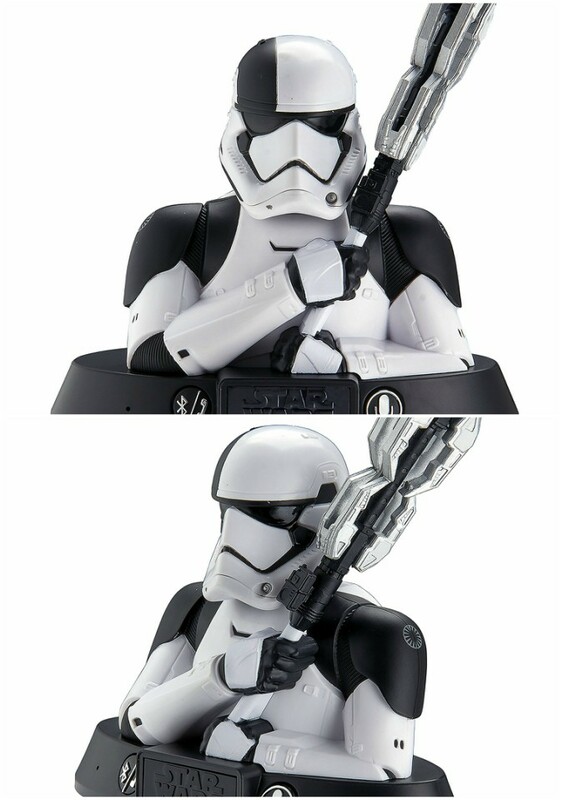 Stormtrooper Bluetooth Speaker: a space saving gorgeous speaker with Bluetooth music streaming. 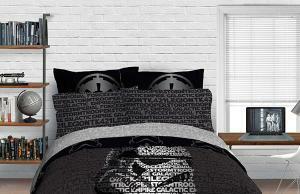 A Darth Vader version is also available. 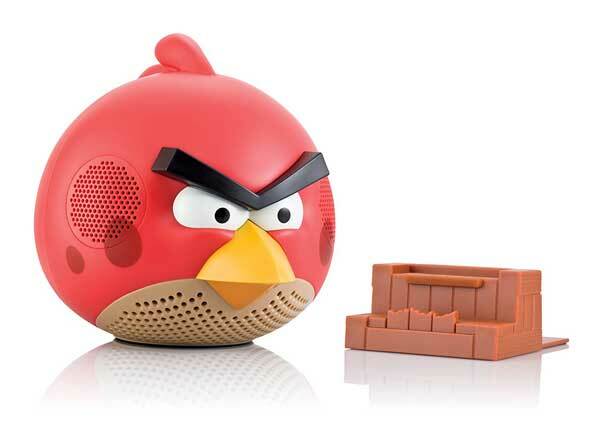 Angry Birds Speaker: a cute 30W speaker with bass control. It works with all your favorite music players. Multiple bird designs are available. 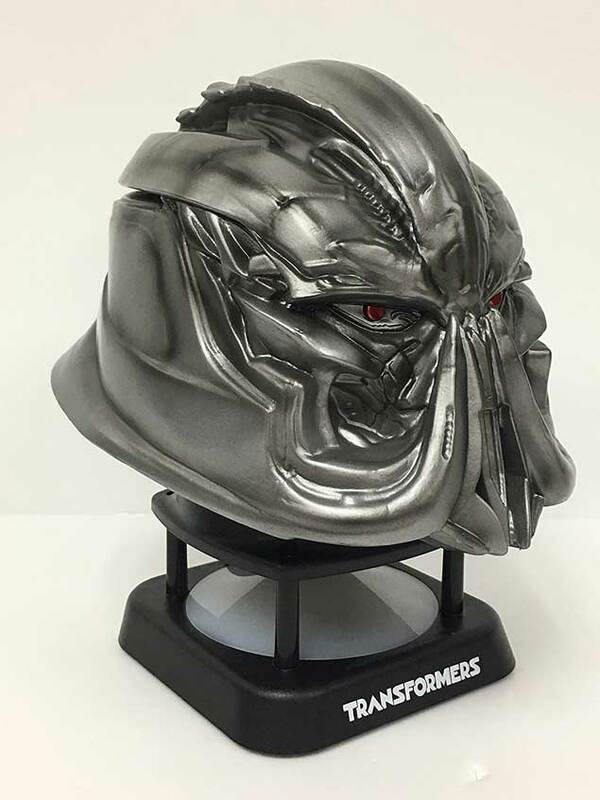 Camino Transformers Last Knight Megatron Speaker: measuring 129 x 155 x 179 mm, this mini speaker connects to your smartphone via Bluetooth. It supports 3.5mm audio connections too. AD’OM Premium: a humanoid Bluetooth speaker with lights and smoke machine. It acts as a charging dock for your phone. 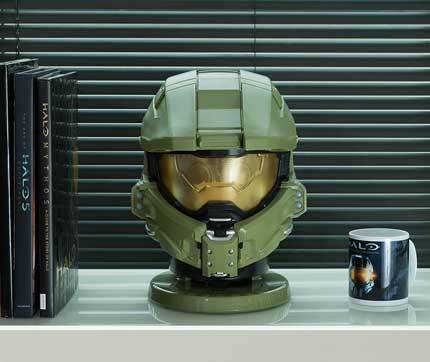 Halo Masterchief Bluetooth Speaker: comes with Masterchief sound. It has eyes that light up when switched on. You can pair two of these for a stereo sound effect. Thor Hammer Wireless Bluetooth Speaker: a 1:2 scale speaker that lights up with your music. It has a built-in speakerphone. Death Trooper Helmet Speaker: a wonderful speaker for Star Wars fans with LED lights and deep sound. 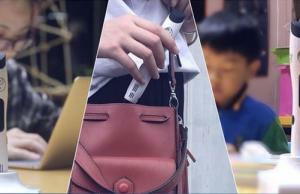 It has a USB port to charge your gadgets. Terminator T-800 Speaker: a beautiful multimedia speaker for Terminator fans. 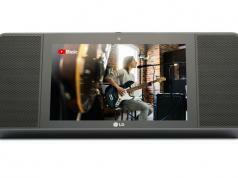 It stands 18 inches tall and has a high-definition camera in one of its eyes. It has Amazon Alexa built-in. Darth Vader 1:1 Bluetooth Speaker: this Star Wars speaker comes with a powerful subwoofer to deliver rich audio. 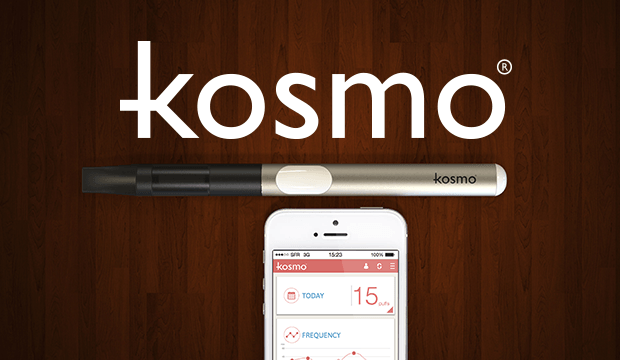 It works with your favorite Bluetooth smartphone devices. 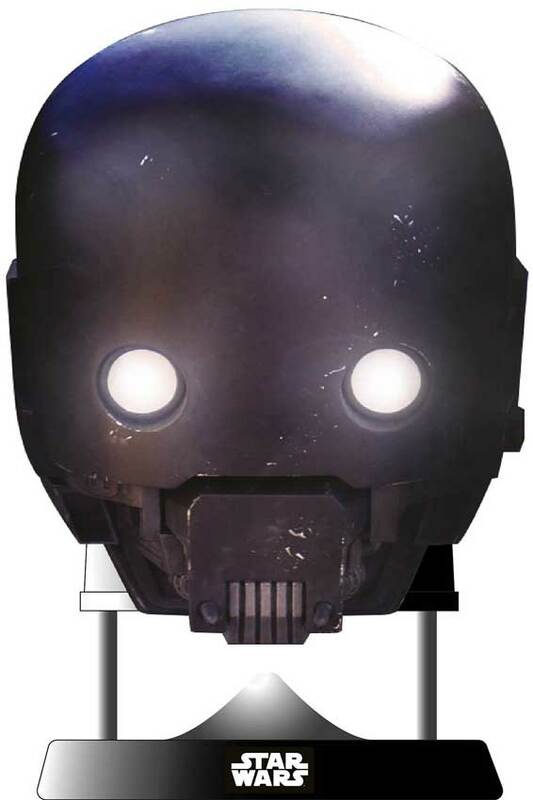 Rogue One K-2SO Helmet Speaker: a 70mm Bluetooth speaker compatible with computers, laptops, and smartphones. 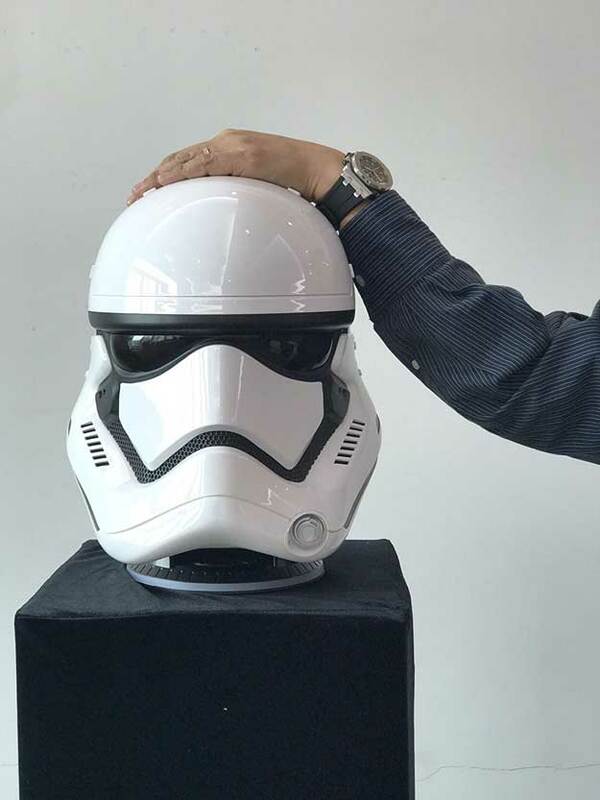 Camino Star Wars EP 7 Stormtrooper Head Bluetooth Speaker: comes with 82mm woofer and 40mm speakers. 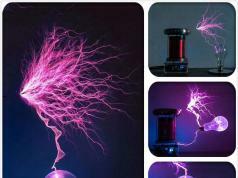 It has LED lights and a USB port to charge your gadgets. 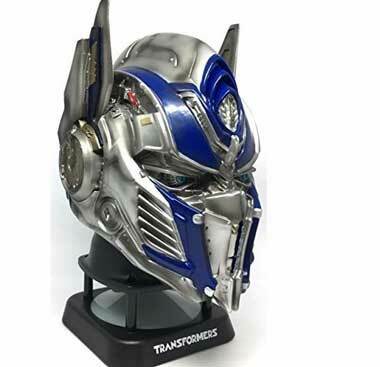 Transformers Last Knight Optimus Prime Bluetooth Speaker: a 70mm speaker with 120 Hz ~ 16KHz frequency. It has Bluetooth and 3.5mm audio in options. 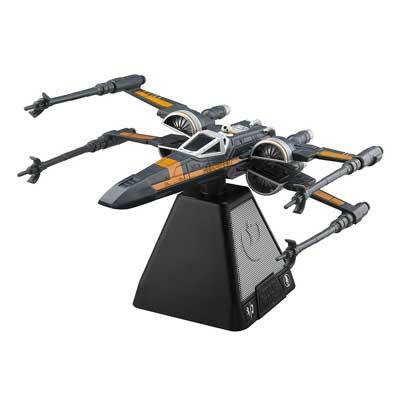 X-Wing Bluetooth Speaker: another Star Wars Bluetooth speaker with rechargeable battery and speakerphone functionality. It has a Bluetooth range of 33 feet. 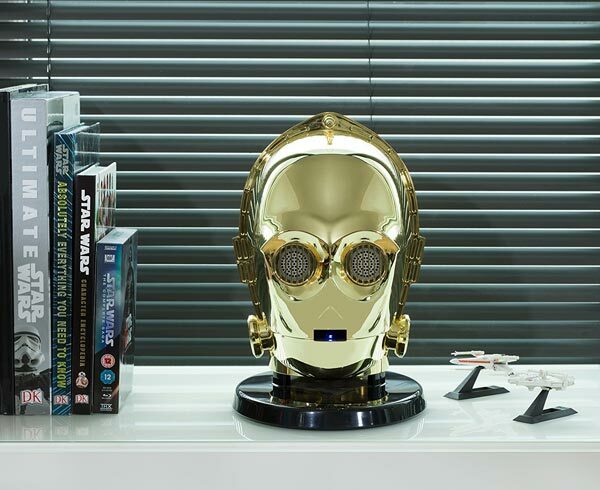 C-3PO Bluetooth Speaker: an officially licensed speaker with rechargeable battery and light up eyes. 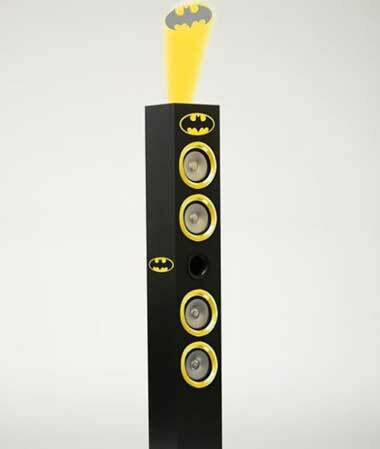 Batman Spotlight Tower Speaker: not only plays your music but also has an illuminated bat signal. Star Trek TNG U.S.S. 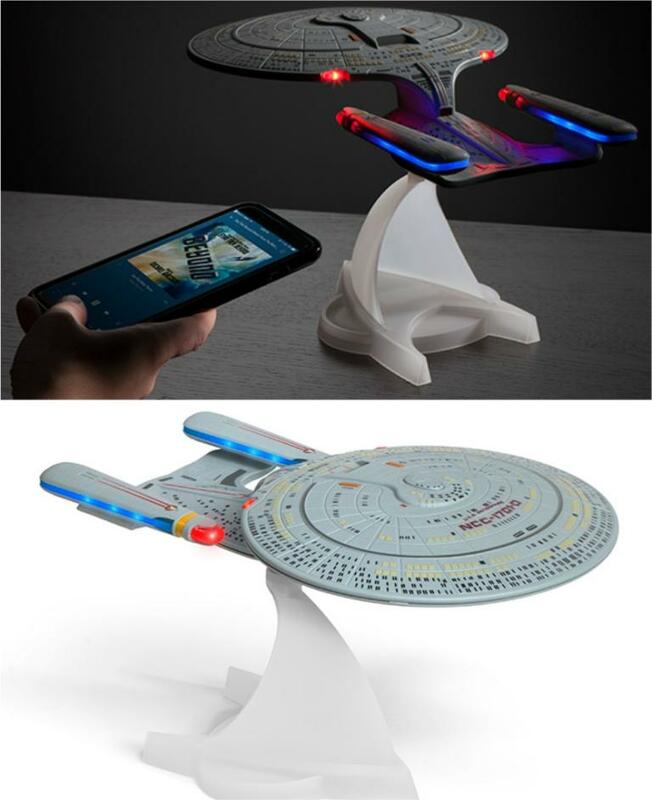 Enterprise NCC-1701-D Bluetooth Speaker: this geeky speaker has a noise emulator, LEDs, and sound effects. 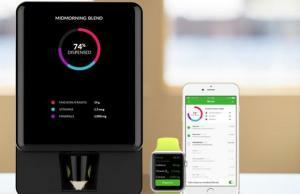 It has a 45mm full range speaker and connects to your phone via Bluetooth. 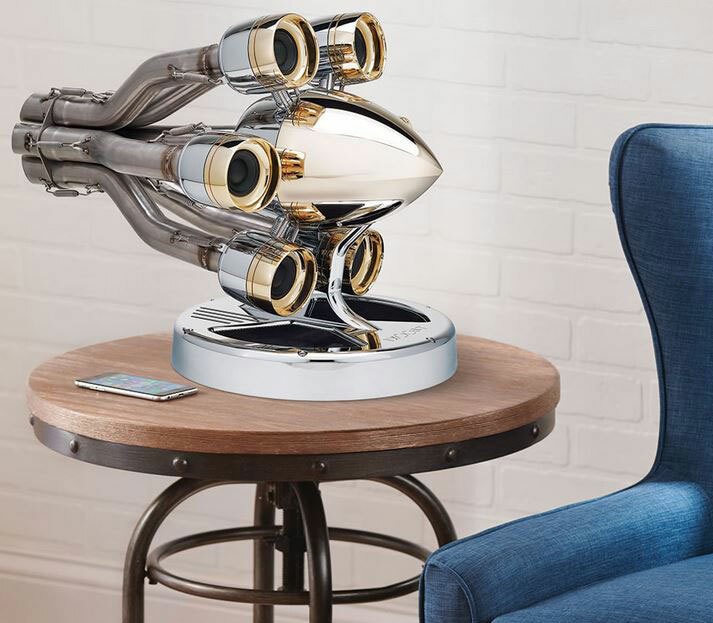 $15,000 Radial Aircraft Engine Speakers: these are inspired by early 20th-century radial aircraft engines. They are made from 6082 aluminum alloy with chrome and 24k gold plated enclosures. 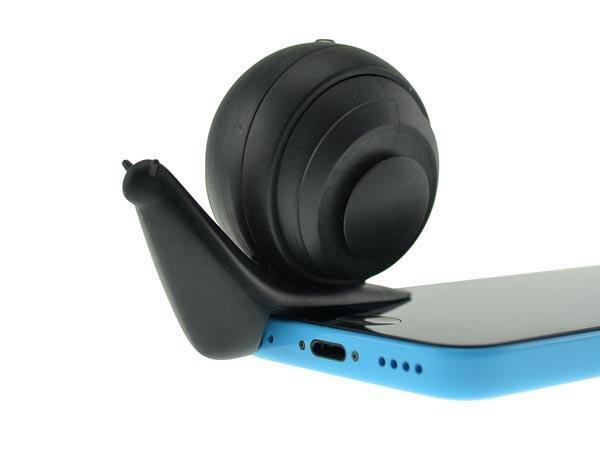 Snail Speaker: a cute speaker for your smartphones that sits on your device like a snail and enhances the audio coming out of it. hellosy Death Star Levitating Speaker: this beautiful speaker has built-in lights and a 360-degree rotating speaker. 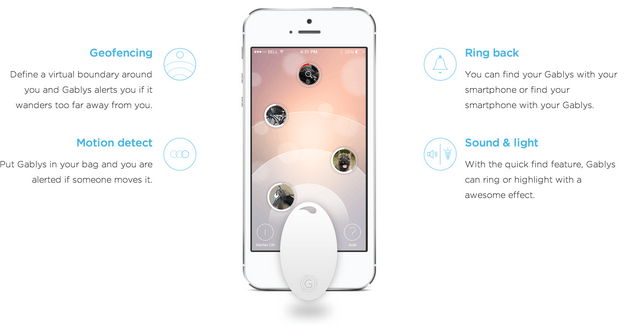 You can interact with it from your smartphone or tablet. Levitating Pokemon Speaker: plays your music as it floats in the air. It lasts up to 7 hours on battery. It can play music from a SD card too. Cobra Dancing Cat: a robotic speaker that puts on a dance show to your music. Simply connect it to an audio source to get started. Dancing Groot Speaker: another officially licensed speaker that dances to your favorite tones. 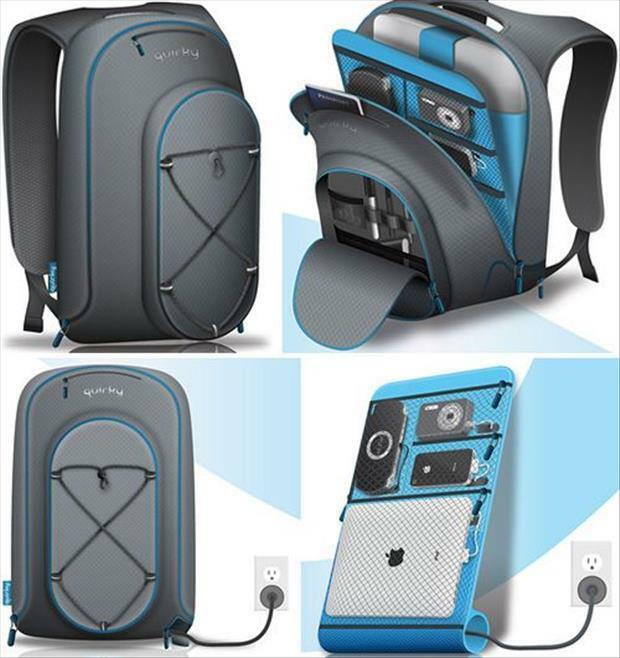 It has a microphone for hands-free calling. 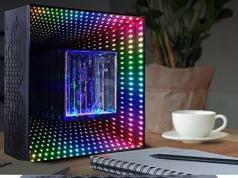 Cosmos Constellation Clock: whether you are an astronomy enthusiast or just want an ubercool speaker, you should give this one a look. Cosmos has a full map of the northern hemisphere’s constellations with two stars to tell the time in addition to a Bluetooth speaker. 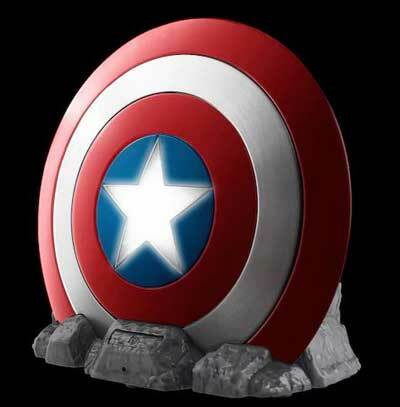 Captain America Shield Bluetooth Speaker: another speaker for fans of the Marvel Universe. Its star lights up when you use the speaker. You can also use it as a speakerphone. 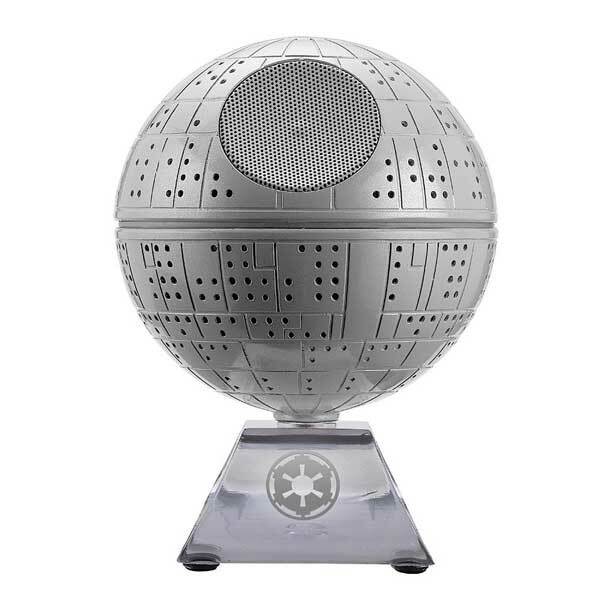 Death Star Bluetooth Speaker Li-B18.FX: a light-up Death Star with Bluetooth streaming from iHome. It has an internal rechargeable battery. 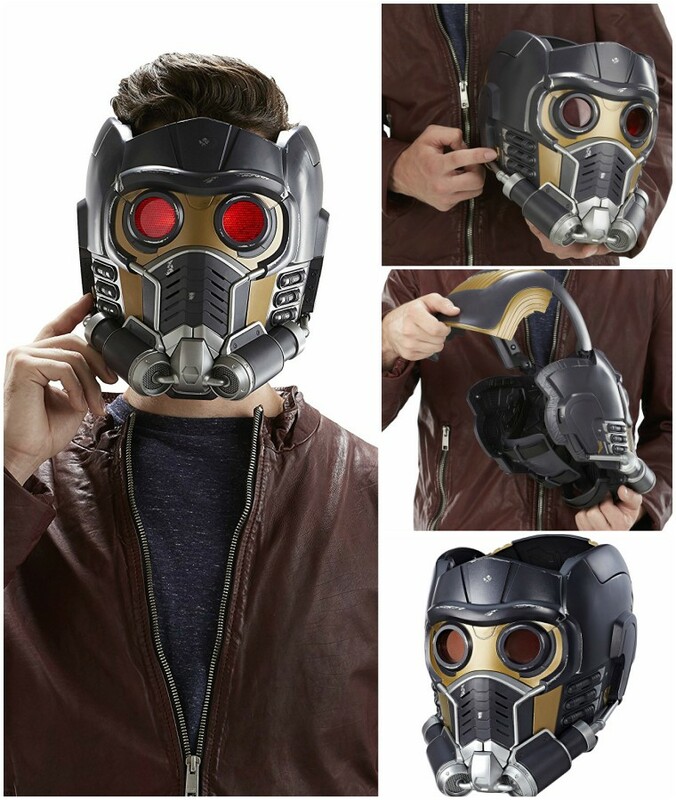 Star-Lord Electronic Helmet: a full scale Star-Lord electronic helmet with 2 LED eyes and sound effects. It has built-in Bluetooth speakers. 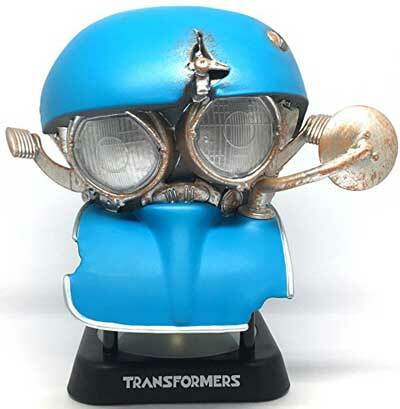 SQWEEKS Mini Speaker: another cute Bluetooth Speaker for Transformers fans. Stay tuned as we will cover more geeky speakers here in the future.